The EA Sports UEFA Euro 2004 officially licensed game will be developed and published by EA this summer to coincide with the finals of the UEFA Euro 2004 tournament in Portugal. In Euro 2004 mode players can play as any of the 51 European nations. Players can arrange and play friendly matches against other nations or play through the tournament going from qualifying, to playoffs and into the finals. 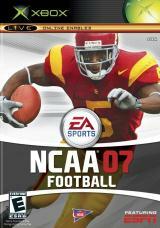 The 2007 edition of EA's college pigskin franchise. Turn the tide in your favor and control momentum like never before with NCAA Football 07. Storm ahead early or come from behind late with drive-stopping sacks, key turnovers, and clutch first down c..
Based on the DC Comics/Vertigo Hellblazer graphic novels and Warner Bros. feature film, the supernatural thriller Constantine tells the story of John Constantine, a man who has literally been to hell ..